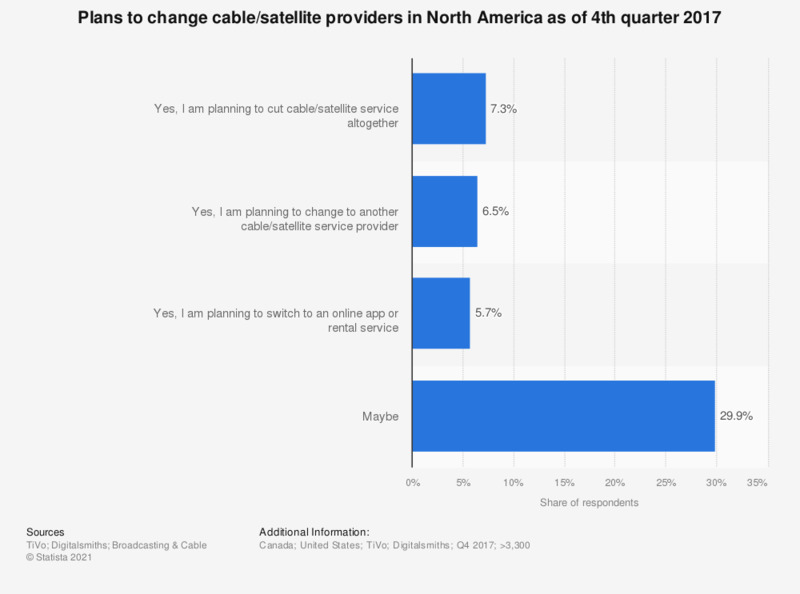 The graph shows the results of a survey about plans to change cable/satellite providers as of the fourth quarter of 2017. During the survey, 5.7 percent of respondents stated that they were planning to switch to an online app or rental service in the next six months. The source does not provide further information on the survey methodology (age of respondents, type of survey used).